Campagnolo 135mm Double Outer Chainrings All outer rings have pickup teeth. Color: Black. Material: Aluminum. 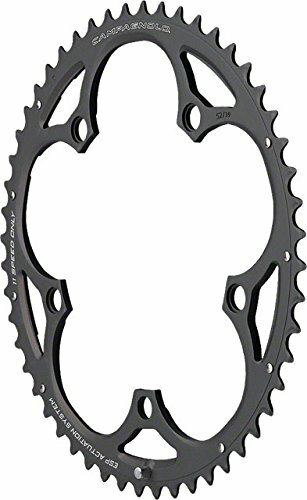 Chainring BCD: 135. Defined Color: Black. Ring Position/TYPE: Outer. Drivetrain Speeds: 11. Tooth Count: 52.